10 Vintage Stained Glass Church Window Images! Today I am sharing an amazing collection of Vintage Stained Glass Windows Clip Art images! Featured here are nine antique stained glass images. 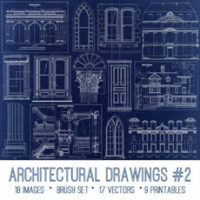 Included is an assortment of five colorful Gothic and Victorian window images. These Free Clip Art Stain Glass windows are great to use in your Holiday Crafts, Home Decor projects, and more. I thought perhaps you could use them to make some little cardboard churches for your Christmas tree or vignettes! Wouldn’t it be fun to cut out the panes and replace them with vellum, so that you could shine your Christmas lights through them! I think these extraordinary graphics would be lovely on a Christmas Card, a Church Program, or fun to use in a Doll House! Our first set of colored Stained Glass images is absolutely exquisite. 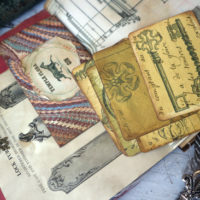 All of the antique window images in this section were scanned from a Circa 1903 Windows and Doors Catalog! 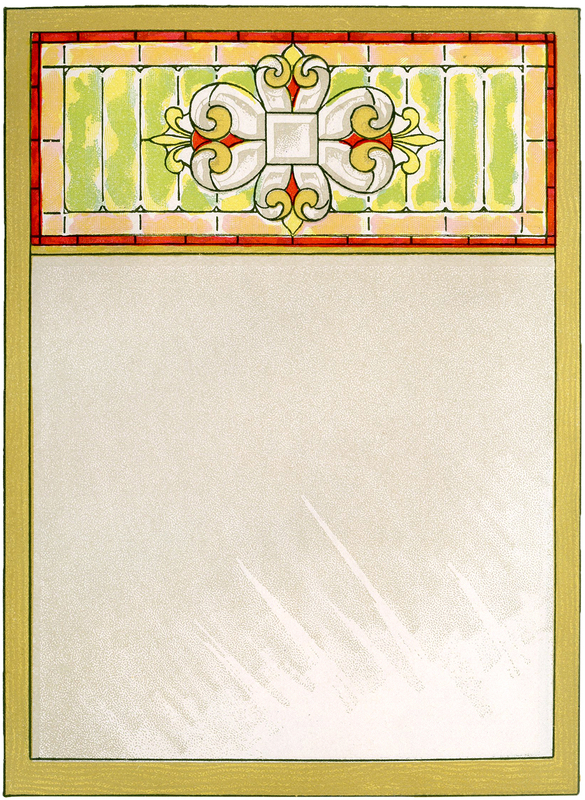 Our first image is a beautiful Stained Glass Church Window Clip Art! It has beautiful colorful intricate Stained Glass Design. The pink and rose colors are spectacular and feature a yellow and black or dark blue border. This is a beautiful Vintage Stained Glass Gothic Window Image. It has a beautiful Stained Glass interior with an intricate pink and aqua design. This is a beautiful Vintage Stained Glass Church Window Image. The beautiful Stained Glass with an intricate Design has a dark border with greens and oranges. This is a beautiful Stained Glass Church Window Image!!! The Antique Arched Top Window has beautiful Stained Glass design that features lovely pink, red, yellow, and green colors. I especially love the aqua interior stained glass. This is a lovely Vintage Stained Glass Window Image!! It features a beautiful Wooden Framed Window with an intricate Design done in Stained Glass. So beautiful! These first three images below are Flamboyant Gothic Church Windows Clip Art images, which first appeared in Europe during the High and Late Middle Ages! These were scanned from a Circa 1904 Victorian Stained Glass Catalog. I love the beautiful classic arched shape of these old Church Windows. Another slimmer and less elaborate Stained Glass Window image. The final Gothic Stained Glass Window Clip Art image is has a charming upper section that resembles a helmet to me. I love the lovely classic arched shape of these old Church Windows. You might also like a Gothic Church Door, which you can find HERE. This Old Gothic Arch Window Architectural Drawing is a detailed illustration of an eye-catching window. It looks like it would be from a 15th Century European church facade. The interior section has ornate fretwork in a scroll and acanthus leaf pattern. 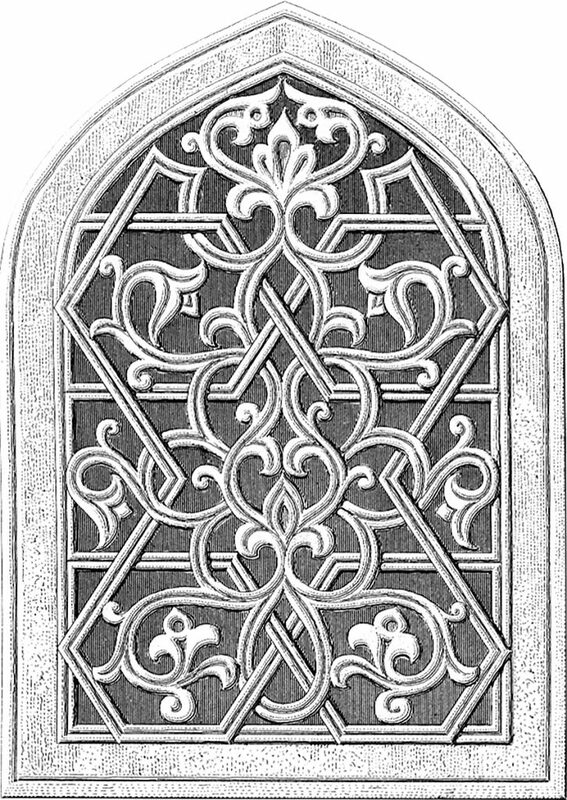 This is a black and white or gray scale architectural drawing of a window with a Gothic Pointed Arch. There is scrolled fretwork, sometimes called curvilinear tracery, with a Fleur de Lis accent at top. And lastly we have this Old Gothic Arch Window Architectural Drawing! 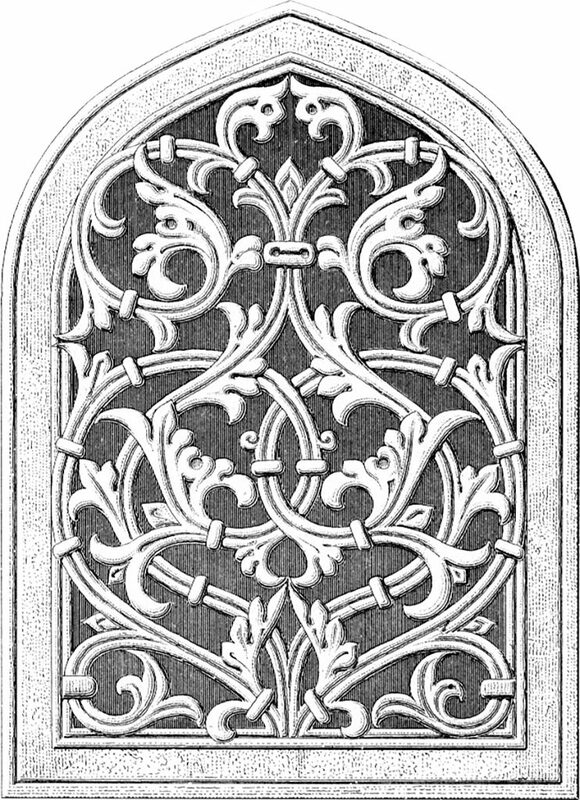 This detailed drawing of a Gothic Arch Window looks like it would be from a 15th Century European church facade. The interior section has ornate fretwork in a scroll and acanthus leaf pattern. So fancy! I hope you enjoyed this curated collection of vintage Stained Glass Windows Clip Art images. You might also like our Christmas Bird Images HERE! « 9 Vintage Madonna with Child Images! Lovely, and different. Thank you! I can’t get it to enlarge. It is so beautiful I would love to have it larger. Hi Terri, I just had a site redesign and things work a little different now. I just uploaded the image again. It is full size now, but it no longer has a larger preview window. Go ahead and save it and it will be larger on your computer. This is drop dead gorgeous! I have tried to save it (in its larger format), but that doesn’t seem to be possible, and I’m not having that problem with your other offerings. This really is one of the most beautiful images you’ve posted, and that’s really saying something, because I’ve seen everyone you’ve ever shared – lucky me. Thanks Marcie! I just had a site redesign and things work a little different now. I just uploaded the image again. It is full size now, but it no longer has a larger preview window. Go ahead and save it and it will be larger on your computer. Good to know. I was having the same problem and was about to ask, when someone beat me to it. Love this, it is gorgeous!